This village, located between the Serrania de Ronda, the Antequera Basin and the Guadalhorce Valley, does not belong, geographically-speaking, to any of the aforementioned areas, though the presence in its municipal area of the Guadalhorce-Guadalteba hydrological complex is probably a good enough reason to situate it in the latter. 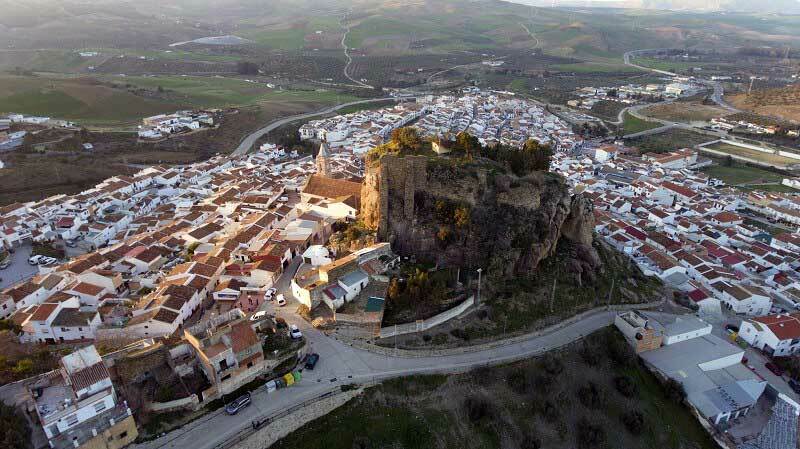 The village, of Arabic origin, lies at the foot of the rock which bears its name and is typically Andalusian, with its narrow streets and white houses. The first human settlements in the municipal area date back to prehistoric times. Near the village stands a cave known as Cueva de Ardales, or Cueva de Doña Trinidad Grund, which contains animal paintings -goats, horses and stags- and other illustrations pertaining to the Upper Paleolithic peroid (Solutrean and Magdalenian eras, 18,000 – 14,000 years B.C.). Ardales and its municipal area enjoyed its period of greatest glory during Moslem times, particularly during the muladi (Christian convert to Islam) uprising of the late 9th-early 10th century, led by Omar Ben Hafsun, who, with Bobastro as his headquarters, created a defensive arc made up by the castles of Ardales, Turon, Teba and Alora, even stretching as far as Archidona.